A community of needy children are currently living in Nevada and you may not even know it. Children who live with daily oral pain may never show any signs of being in pain, and unless you knew what you were looking for, then you might miss it too. Approximately 70% of children in Nevada have current or treated decay. The national average is 53%. These children try their best to get through their day but often are suffering in silence. 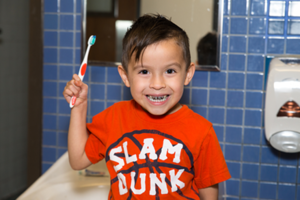 Their families face numerous financial, cultural, and transportation barriers to dental care. Many of these children have several cavities and decayed teeth that make it impossible to concentrate in class, eat and drink comfortably, or smile with confidence. This oral pain frequently causes children to lose valuable classroom time due to excessive absences. 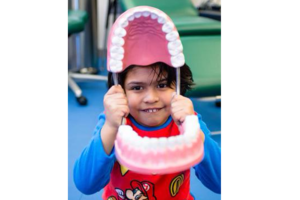 Future Smiles has been combating oral pain by providing preventative dental services to needy children since 2009. We work tirelessly to remove barriers to care by providing our services where children spend a significant portion of their day- in school during school hours. Several of the children we see have never been to a dentist in their lives and have little knowledge of basic dental hygiene practices. Many of them don't know how to effectively brush their teeth and don't have an established brushing routine. Some of them don't have a toothbrush- a basic necessity you and I take for granted every day. WE CANNOT FIGHT ALONE AND NEVADA'S NEEDIEST CHILDREN DESPERATELY NEED YOUR HELP. 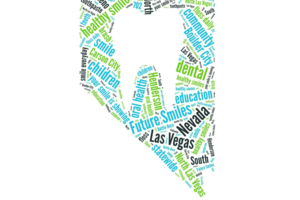 Our goal is to provide 500 dental sealants to Nevada children in need. 100% of your donation will be used to provide a local child with a dental sealant. Dental sealants are applied to a healthy tooth to shield and protect from bacterial acids that cause decay. CDC research has shown the sealants can last up to 10 years and prevent more than 80% of cavities. Help needy children excel in school by stopping the pain associated with dental decay dead in its tracks.